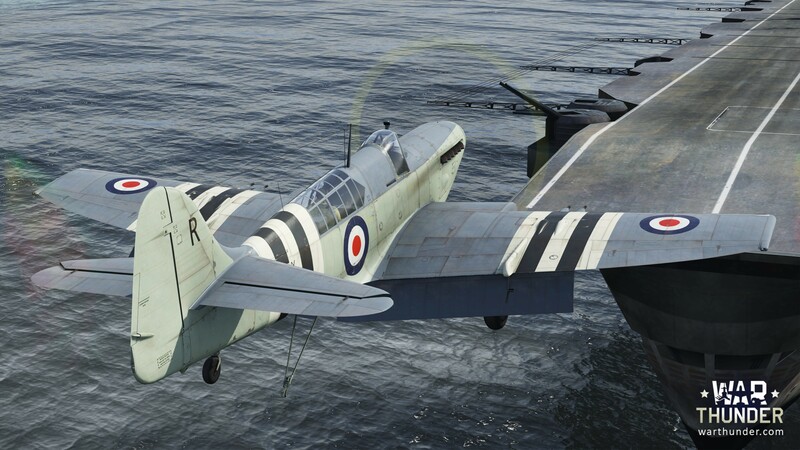 Today we will talk about the Fairey Firefly. 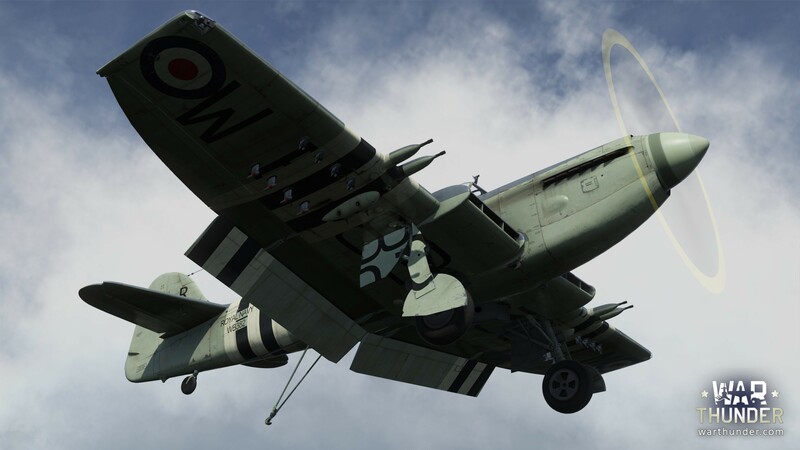 In the update there will be two options available for this aircraft, the F.Mk.I and F.Mk.V. Both are located at the third rank. 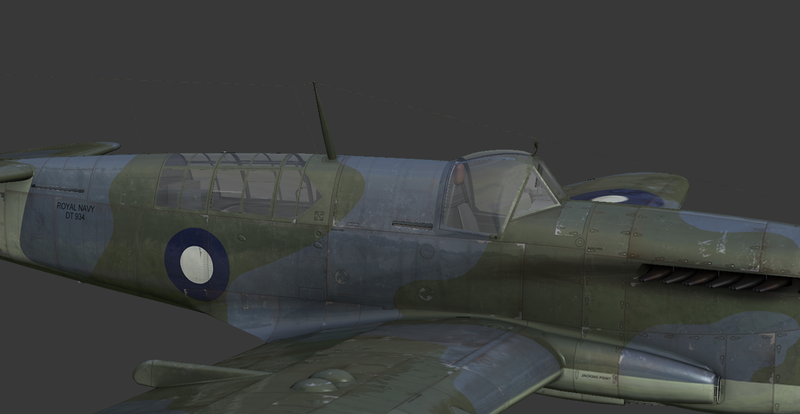 The Mk.I has two 20mm British Hispano Mk.II cannons in each wing with 60 rounds for each barrel. 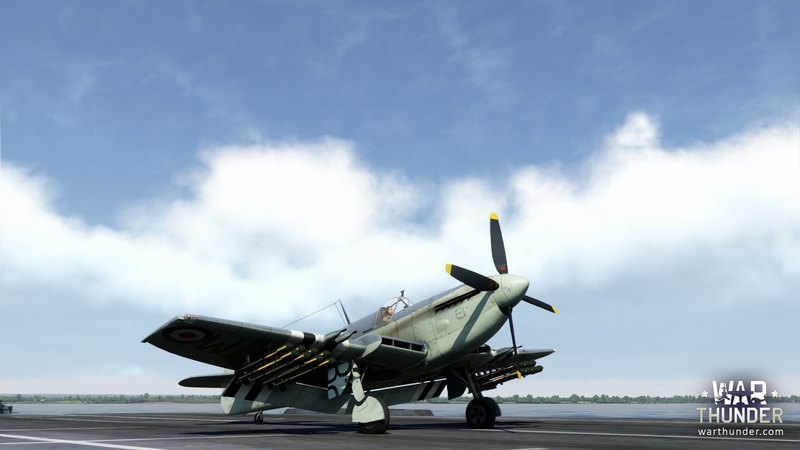 The wing pylons can accommodate two 1,000 pound (453 kg) or 500 pound (227 kg) bombs. 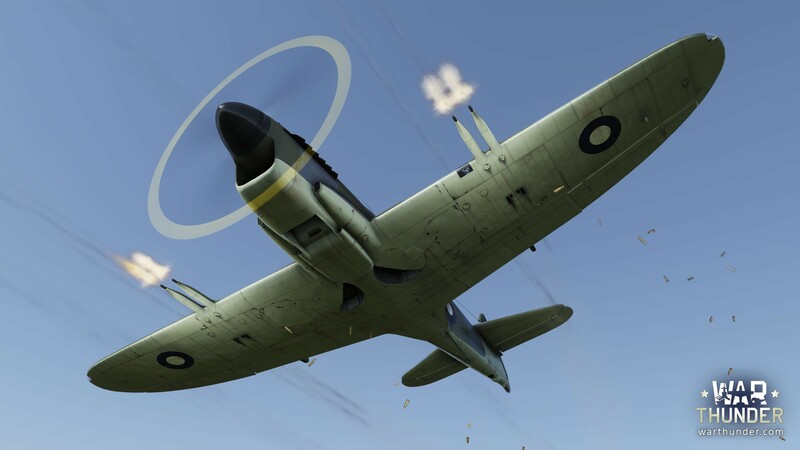 And the wing hardpoints can accommodate eight (four under each wing) unguided RP-3 Warhead rockets weighing 25 pounds (11 kg) or 60 pounds (27 kg). 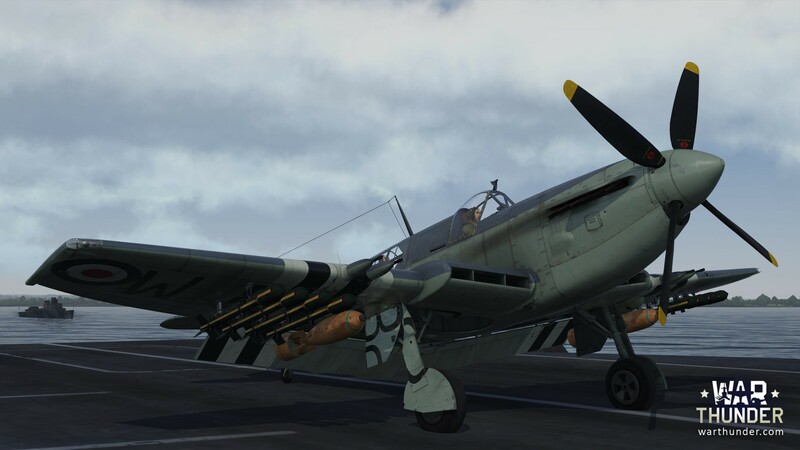 The Mk.V is also armed with two 20mm cannons on each wing, but these are British Hispano Mk.V’s with 175 and 145 shells for internal and external weapons, respectively. A possible bomb load configuration similar to the Mk.I, but unlike that, it has four instead of two pylon assemblies, which is why instead of four RP-3 rockets under each wing it can accommodate eight, making it a total of sixteen! 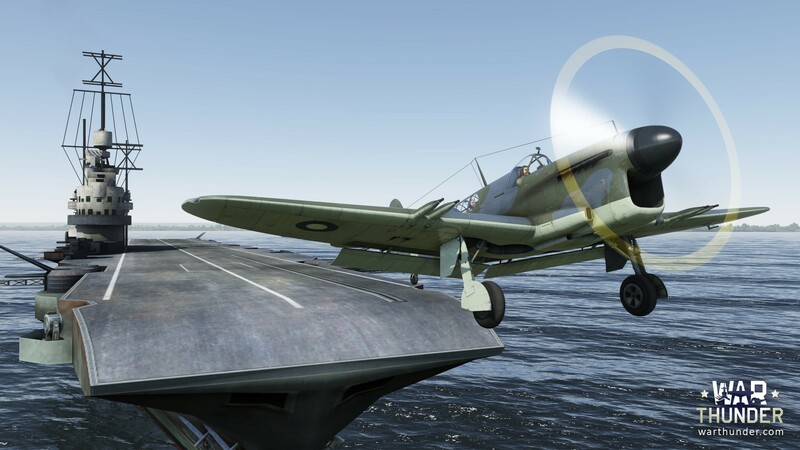 This aircraft is one of the most prominent representatives of a single-engine two-seat carrier-based fighter concept, as a universal strike aircraft, suitable for a wide range of battle tasking throughout all stages of the aircraft’s development. A very unusual, but beautiful looking aircraft. 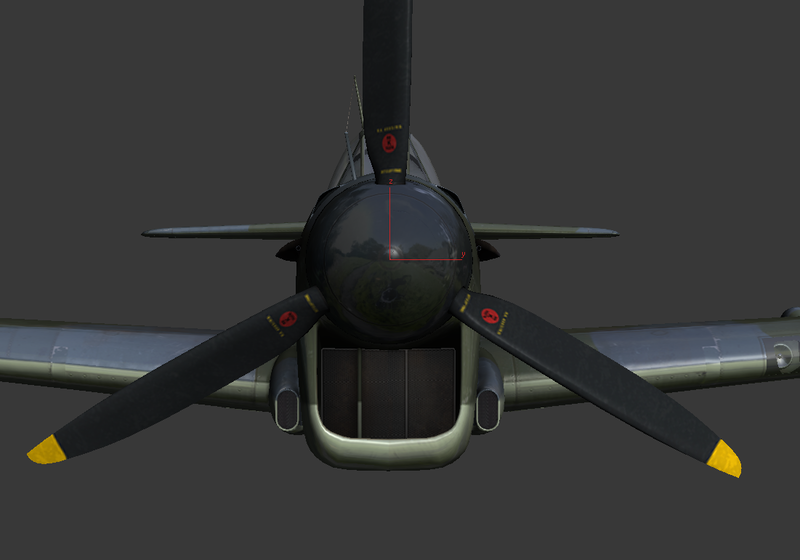 The blown, glass cockpit and large air intake under the propeller spinner are very special characteristics, which add to the Mk.I’s unique image. Despite the complexity of the flaps’ mechanism, we artists have been very interested in understanding how they all should have moved. 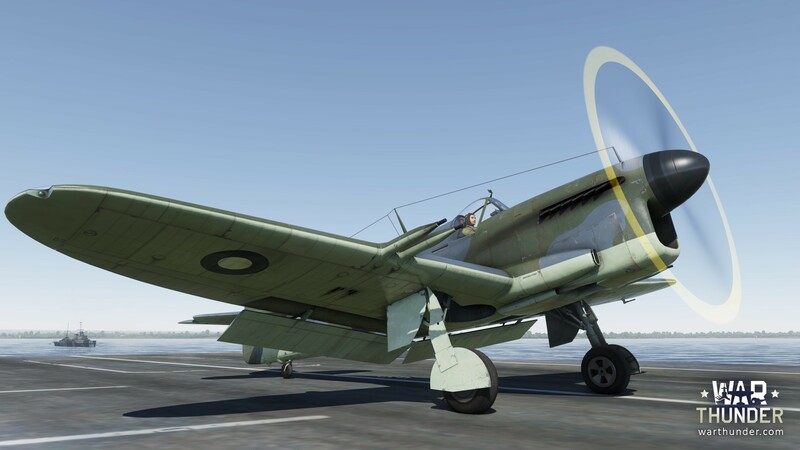 In the Mk.V variant, the air intake has been moved into the roots of the wings to reduce air resistance, and the nose of the aircraft was developed to look more standard.